GE’s Inspection Technologies has announced important feature updates to the field-proven XL series of industrial video borescopes, the XL Vu Video Borescope. The newest update to this model includes improved light output for enhanced image quality, stereo measurement, 4GB of internal memory, video output, and multiple USB ports. All of these features are available in a durable, field-ready product rated to IP55 and tested to temperatures up to 100°C. GE’s XL Lv Video Borescope is now available globally for the first time. 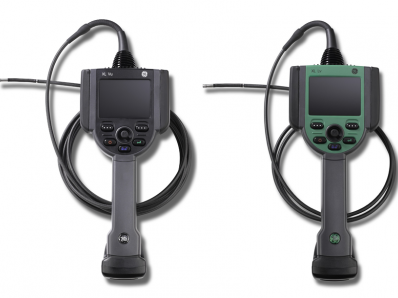 This utility VideoProbe offers the still image and video quality you rely on from GE, and a generous set of features you would expect to see in a much higher-priced video borescope. Both the XL Vu and XL Lv VideoProbes are highly portable - just 3.9 pounds (1.77kg) – and offer multiple probe lengths and diameters with interchangeable tip optics. The XL series of video probes makes reporting and archiving inspections easy with Menu Directed Inspection (MDI). Video borescopes are used for non-destructive inspection in the aerospace, power generation, oil & gas and industrial industries. They offer maintenance and quality teams the ability to inspect the interior of engines, turbines, pumps, motors, tubing and pipelines without costly disassembly or confined space entry. Inspection images and video can be recorded, annotated and archived for reporting and archiving. Why is high dielectric strength now a key driver in power tube specification?